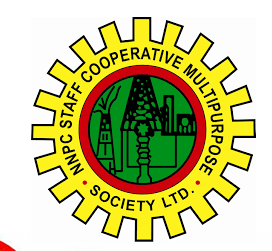 The Nigerian National Petroleum Corporation (NNPC) has announced an annual scholarship of N300, 000 to the winner of its 2017 edition of national quiz competition. The first and second runners up will also get N250,000 and N200,000 respectively per session for the duration of their courses in tertiary institutions. The Group General Manager, Group Public Affairs Division, Mr Ndu Ughamadu announced this on Wednesday in Enugu during the South East zonal final of the competition. Ughamadu, who was represented by a management staff, Mr Nyong Nyong, said that the gesture was part of major innovations introduced to enhance the integrity and status of the contest. He said that other innovations include partnership with West African Examination Council (WAEC), the Junior Engineering Technical Society as well as the Science Teachers Association of Nigeria. “From this 2017 edition, the cooperation will be providing a one-off education grant of N100,000 each for all state winners of the competition. “A scholarship award of N300,000 per session will be granted to the overall winner of the competition while the second and third will receive N250,000 and N200,000 respectively per session for the duration of their courses,” he said. Ughamadu however, said that all scholarship awards and the one-off educational grants would only be redeemable upon presentation of evidence of admission into tertiary institutions. “This is a significant improvement both in amount and the number of beneficiaries compared with previous editions. “It also represents our corporation’s commitment towards touching lives of our scholars,” he said. The group general manager said that the competition provided a level playing field for students across the country irrespective of gender and social backgrounds. He said that of all the winners in the 36 states and FCT, 15 were from public schools while 22 came from private schools, adding that eight females made the cut. Ughamadu said that winners of the zonal contests would qualify for the grand finale in Abuja later in the year which would provide opportunity for the grand scholarship prizes. “Since inception the competition has been characterised by very keen and healthy contest in English Language and the core science subjects of Mathematics, Biology, Chemistry and Physics. “This is in recognition of the key role this competition plays in achieving the corporation’s corporate social responsibility and in supporting the local content development goals of the Federal Government. “This is as it relates to the oil and gas industry,” he said, adding that science, technology, engineering and mathematics education are critical to growth and stability of the Nigerian economy. Speaking with newsmen a joint top winner, Esther Onuoha of Federal Government Girls College, Ezzamgbo in Ebonyi State applauded the NNPC for the initiative.